18 Deep 63 Wide 41 Tall without mirror. 78 tall with mirror attached. Warm Brown color. 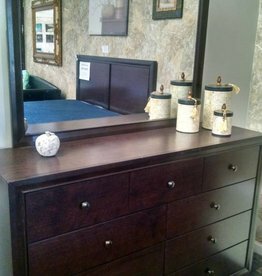 6-Drawer dresser w/ mirror. 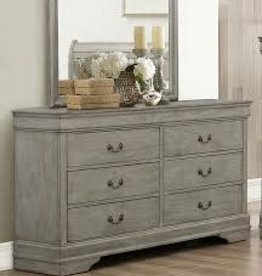 Gray finish w/ antique brass pulls. 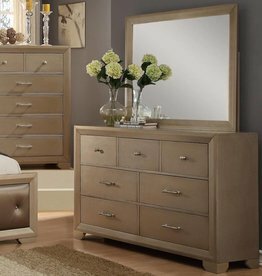 Modern Silva dresser with mirror. 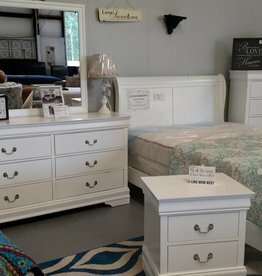 Nine storage drawers. Warm brown finish. 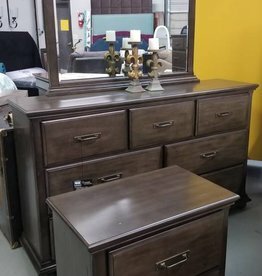 6-Drawer dresser w/ mirror. 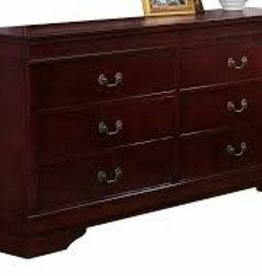 Cherry finish w/ antique brass pulls. 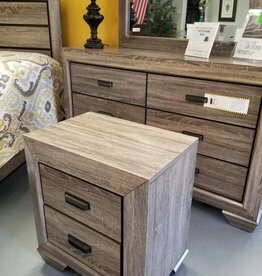 The Grayson 9-drawer dresser with mirror looks great in its bedroom set, but it's also is a great match for various colored upholstered beds. 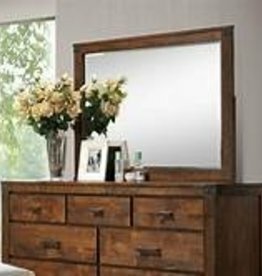 6-Drawer dresser w/ mirror. White finish w/ silver pulls. 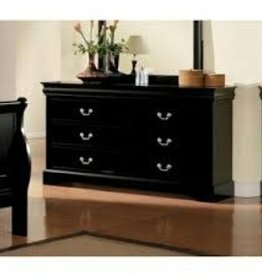 6-Drawer dresser w/ mirror. Black finish w/ silver pulls.